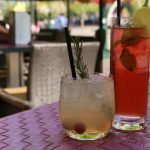 Amelia Marie Newbert recently won a friendly cocktail competition at the Hyatt Regency Calgary, and her winning drink will be featured at the hotel’s Calgary Pride Happy Hour. But when Amelia left this city at age 18 to attend theatre school in Montreal, she thought she’d never move back. That changed 11 years ago when she accepted a position at Theatre Calgary, where she’s now the theatre operations manager. “When I came back, the city was very different. It had really grown from a big small town into a city. It was really vibrant and diverse in a way it hadn’t been,” she says. As a transgender woman living in Calgary, she noticed the need for additional support in the community. Last year, she and her partner founded the Skipping Stone Foundation, which serves to support and empower trans and gender diversity. The foundation provides individual, family and community skill building, but perhaps most effectively acts as a connection point to provide access to mental health support and help to navigate the medical system. Amelia chats with Vern Magazine about the work she does in the city, including the story behind the cocktail she created for the Hyatt Regency Calgary‘s Calgary Pride festivities. 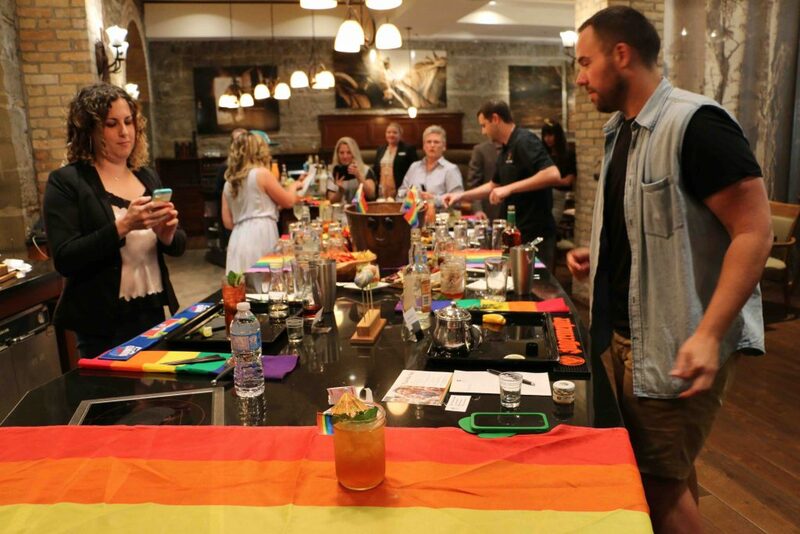 Had so much fun at @hyattcalgary LGBTQ2+ influencers mixology competition w. @immrfabulous, @mollyfi and @CalgaryPride’s Jason Kingsley. We were tasked with each making a drink that reflects us, and our place in the community with the top 2 being featured on their Pride Cocktail List all August. Why did you and your partner start Skipping Stone Foundation? I’m transgender myself and my partner’s son is transgender and so it’s certainly something that’s near and dear to both of our hearts and our family’s hearts. We created the Skipping Stone Foundation with the intention of creating positive and affirming messaging to youth around their gender identity. The second there was an organization that was committed to supporting trans youth and their families, it just took off. How would the Skipping Stone Foundation have helped you when you were young? When I look at my partner’s son, who has a really supportive family and a school system, coming out for him was really an amazing experience and he went on to be an advocate for a lot of change. I certainly know, growing up for me, that was definitely not the story. And because of that, in my childhood and into my early adulthood, I struggled significantly and had severe challenges with my mental health, with self-harming behaviors, with suicide attempts. If there had been one individual in my life who would have told me who I was was ok, it would have made a world of difference to me. Some people avoid talking about transgender issues for fear they will get the terminology wrong. Can you help educate us? I identify as a transgender woman, as far as the gender piece of myself goes. In our organization, we quite often use the term transgender and gender diverse. The reason why that’s important to us is there are a lot of individuals who might identify as non-binary, so they don’t identify with either of the binary genders, or a-gender, where they don’t identify with any gender, or gender fluid where there’s a bit more of a fluid identity. Really there are some of those individuals who don’t feel that the label of transgender that feels comfortable to them, so we talk a lot about trans and gender diverse individuals to make sure that we’re creating space for everyone regardless of their gender identity. That language piece to me is all about not “othering.” There’s not a group that has an asterisk or needs further information. We’re all just people and we all have a myriad of diversity that gender can take. 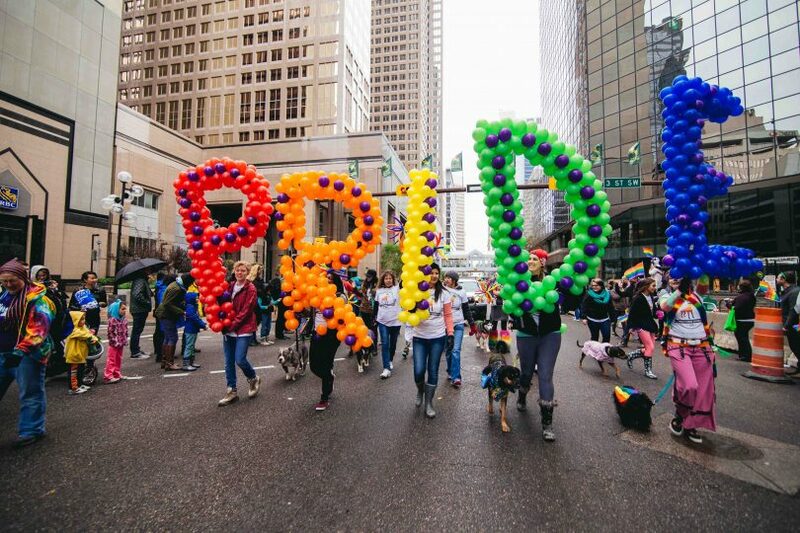 How does The Skipping Stone Foundation take part in Calgary Pride? One of the focuses of our organization is providing really affirming, really positive opportunities to youth surrounding their gender identity and their gender expression. We’ve opened it up to all of our youth to come and join us on our float in the parade. For them to be in the parade, be who they are and have people cheering for them and saying “Hi” and waving. The experience that they get from that and that positive association is priceless. 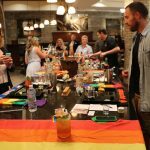 One place in Calgary that’s becoming the home base and a safe place for Calgary Pride is the Hyatt Regency Calgary. Why? 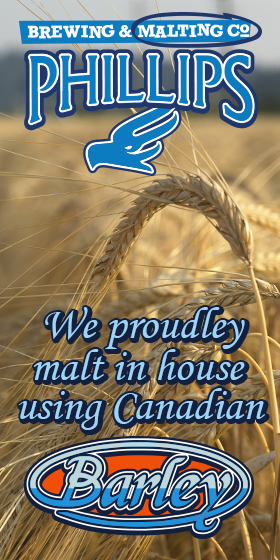 I would say they are a really great example of a company that’s getting it right. A lot of the workplace policy work and training around gender diversity and trans inclusivity that I do now, all started at the Hyatt. They approached me wanting to know how to support trans guests and trans employees better. Amelia Marie Newbert snaps a photo of her winning cocktail at the Hyatt Regency Calgary. Pictured with Ryan Massel (immrfabulous.com). What are some things they do that truly create a safe place for trans people? The first one is to really break down some of those gender assumptions that we typically make of what defines a man or a woman and how we might address of cater to those people differently. I think so much of the challenge and difficulty for trans people is being discriminated against or harassed or misgendered in settings where it’s not particularly intentional because we’re making these faulty assumptions about what those people’s genders are and what that looks like. The other thing that’s really important is in the training and other opportunities at the Hyatt, I’ve been really open with the staff and with that organization about who I am and what my struggles have been and what some of the challenges have been. And to have a staff there who are amazing and really receptive to those stories, for them to be able to understand one trans person’s experience builds a degree of compassion and a degree of empathy for trans people. You took part in a cocktail competition at the Hyatt and you won, is there an opportunity for anyone to try it? There were two of us: myself and Jason Kingsley, the president of Calgary Pride, who won a little friendly competition and are lucky enough to have our drinks featured, and so starting last week the drinks are available through the end of Pride, but in addition to that, every Thursday, the Hyatt is having a special Pride Happy Hour. What’s the name of your drink? 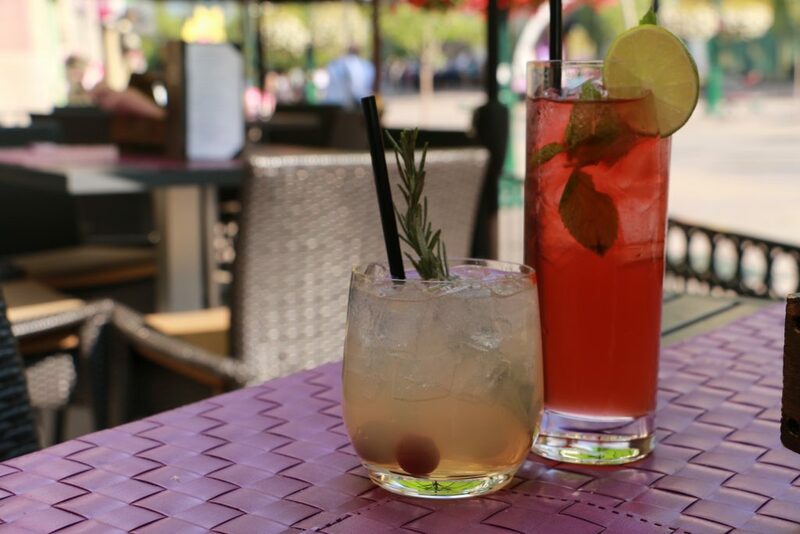 Amelia Marie Newbert’s “Femmie Peach” cocktail (right) pictured beside Jason Kingsley’s “The Prairie Boy” cocktail. Both are good, and part of the Hyatt Regency Calgary’s $6 cocktail Calgary Pride Happy Hour. What’s in the “Femmie Peach,” and how did you come up with it? 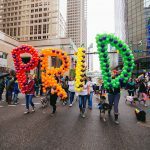 Calgary Pride runs from August 25 to September 4; The Hyatt’s Pride Happy Hour takes place August 24, 31 and Sept. 3 from 4 to 8 pm and features $6 cocktails and Pride-inspired snacks.